When it comes to your groom and his groomsmen there is plenty of choice for their wedding buttonholes. We suggest keeping the buttonholes similar in style to the overall look of the wedding day. 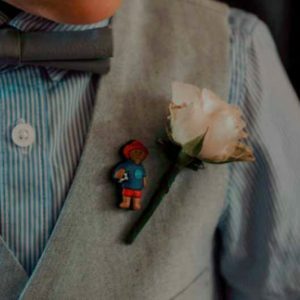 It is traditional for the groom to wear a flower that has been picked from the bridal bouquet, so if you are having roses in your bouquet he may wish to wear a rose button hole. 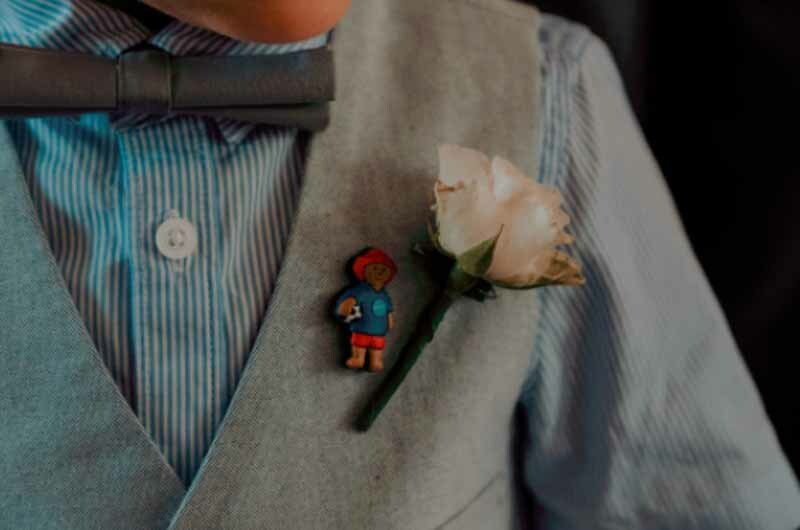 Traditional rose buttonholes are still extremely popular, however many grooms opt for less formal button holes, an informal mix of hand-picked flowers. 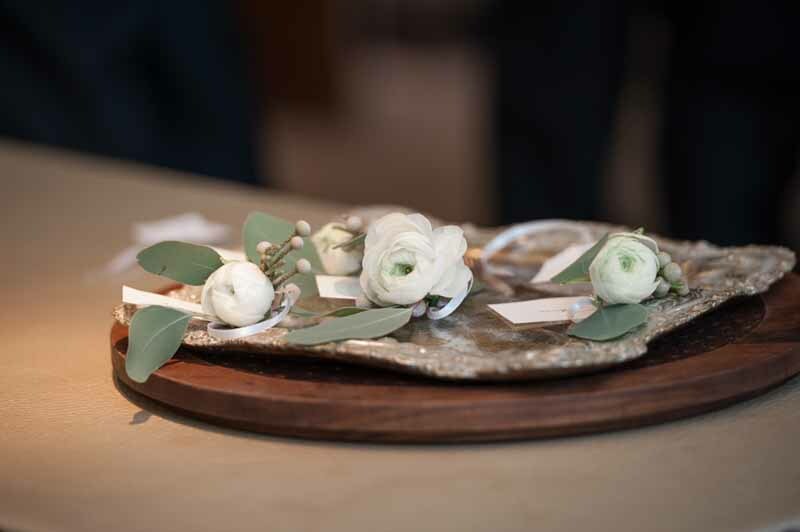 Not all the buttonholes need to match we can make them from a selection of flowers from the day to add a relaxed look and feel to your wedding day. 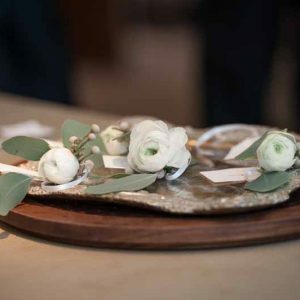 Wedding button holes can be finished with traditional florist tape, or we can wrap the stems in ribbon or twine to tie in with your wedding style.